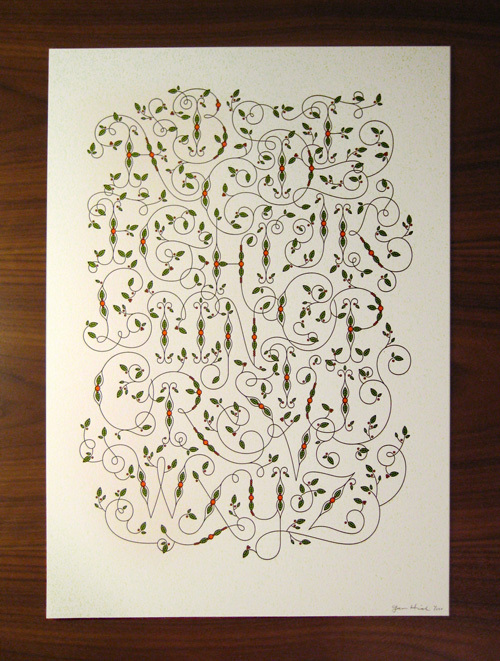 Jessica Hische recently released an additonal letterpress poster featuring more of her beautiful hand-drawn alphabets. Printed on Crane’s 110lbs Lettra with orange, green and black ink at the Arm in New York. 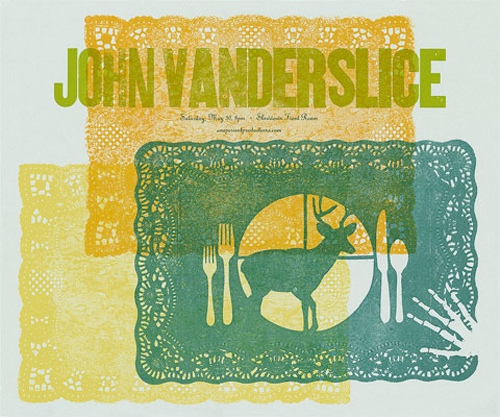 250 total posters were printed on a Vandercook #4 and are 12.5″ x 18″. Buy one from her site for $110 shipped. Wilkintie’s new letterpress poster for August is out. This months artist is John Copeland, alumni of the World Record Club, printed on cotton rag. 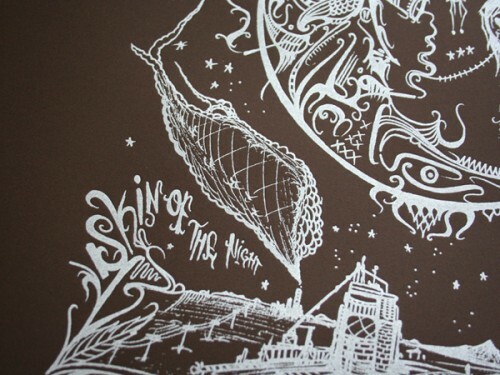 Another awesome limited edition print from Austrailia’s Wilkintie. Poster is 8″ x 10″ and for sale here. 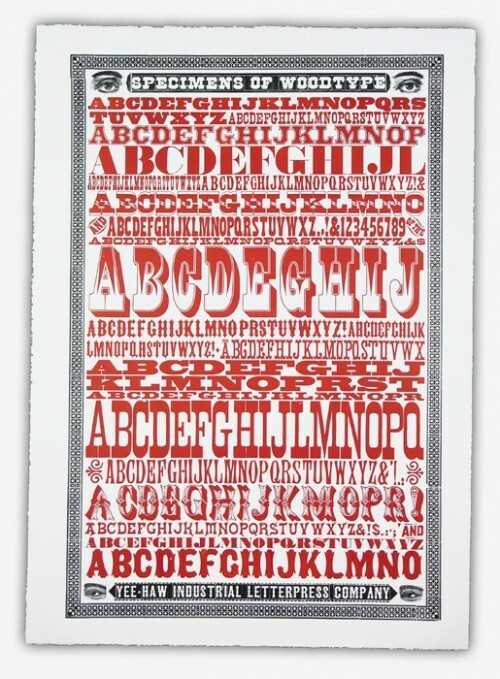 Bennett Holzworth’s letterpressed poster using paper doilies that were glued together, varnished then mounted. 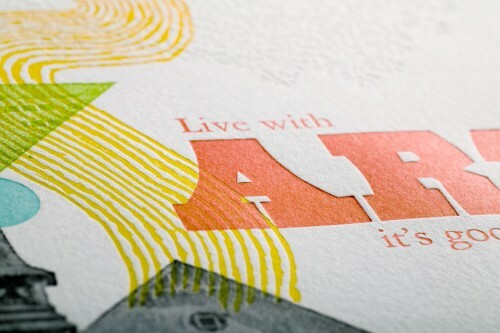 Letterpressed on his 12 x 18 Chandler & Price.Very cool pictures of the process found here. 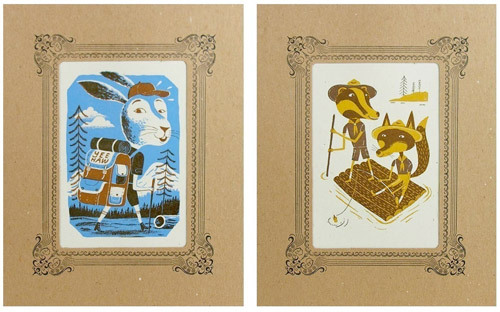 Yee Haw Industries printed 4 Junior Rangers and is selling them as a set here. They include a squirrel, bunny, bear and a fox and come mounted. All were illustrated by Bjorn Rune Lie. 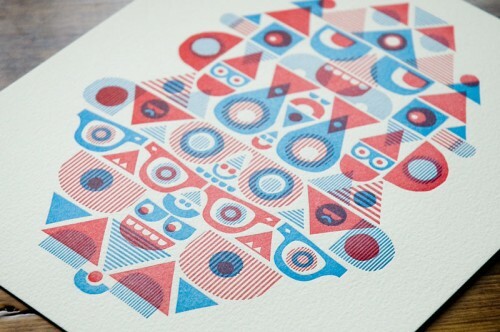 Poster for the 20×200 letterpressed by Mikey Burton. Titled, Live with Art II. The print is 10 x 15 and is a made of 6 colors plus one blind run. $50 here. Gorgeous poster from Yee-Haw Industries. 30 x 42 print was made with all hand set type. Printed on archival acid-free 100% cotton paper with deckled edges. Looks like there is 1 left. 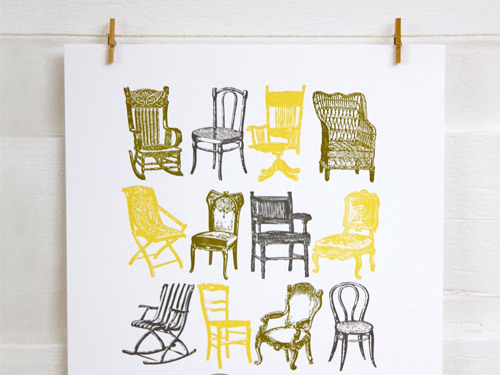 Bespoke Press did a vintage chair 8.5 x 11 poster in a couple different color combination. Only 100 printed. Buy one at their online store. 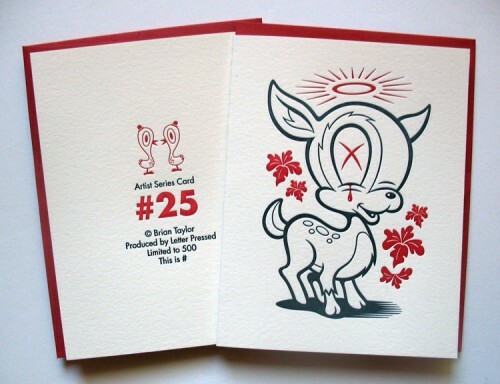 New Candykiller “Artist Series” card from Letter Pressed, in Fresno, California. These are beautiful. There are some of these left, so grab them while you can. Only 500 printed and I am sure they will sell out quickly. Nice additon by Studio on Fire with an illustration by Duece 7. Studio on Fire also demonstrates the difference between metallic inks on dark stock. A must read. No. 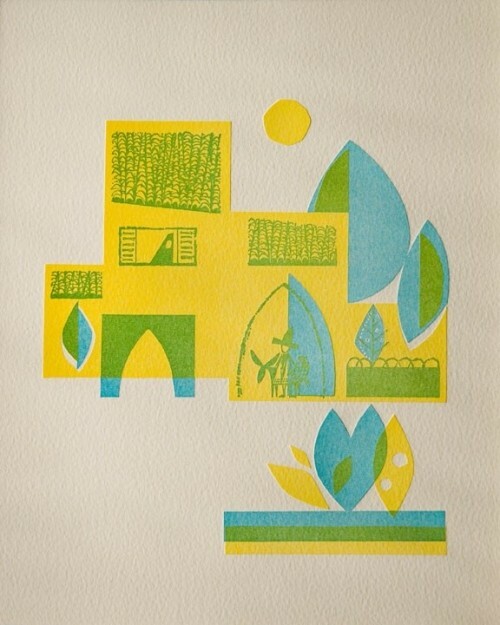 7 from a series of 12 artist prints from Wilkintie in Australia. This one was designed by Cody Hudson and is 8 x 10 on Somerset textured by St Cuthberts Mill in England. Very nice series so far. Can not wait to see them all.